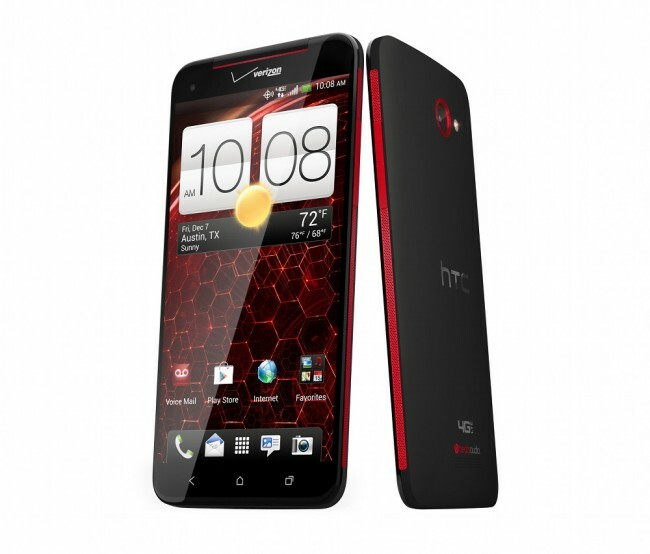 Developer and HTC insider @LlabTooFeR appears to have leaked the specs to a new version of HTC’s DROID DNA on Verizon. Remember the codename of “dlx” that clung to that phone as it approached launch? That same codename has appeared in a new device but with an addition, making it the “DLXPLUS.” Are we going to see a revamped DNA already or is this Verizon’s version of the HTC M7? The last rumor we saw for the M7 pegged it for release on every major U.S. carrier in March with a delay at Verizon, leaving many of you disappointed. 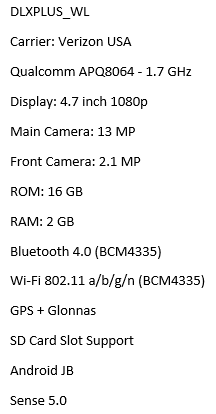 If we look at this set of specs, though, it sounds identical to the M7, only with Verizon bands. If this list is correct, we have the same quad-core Snapdragon S4 AQQ8064 processor clocked at 1.7Ghz, a 4.7″ 1080p display, 13MP rear camera, 2GB RAM, 16GB internal storage, Sense 5.0, and Jelly Bean. There is even a mention of an SD card slot for expandable storage. According to @LlabTooFeR this will support all of the same networks that the current DLX supports, which means Verizon’s LTE. We saw HTC do something similar with the One X, last year, going with a plus version after the device had been out for a while to help give it new life. The odd thing here, is that the DNA has only been out for three or four months, so it seems early for a re-release. But hey, we won’t complain. Verizon needs to release something or it’s going to be a slow Q1.